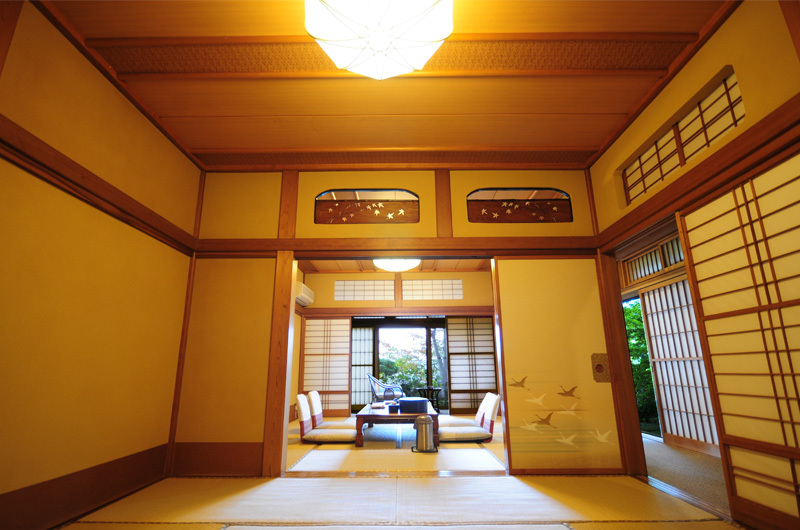 The main building is a wooden building from Taisho to early Showa periods. 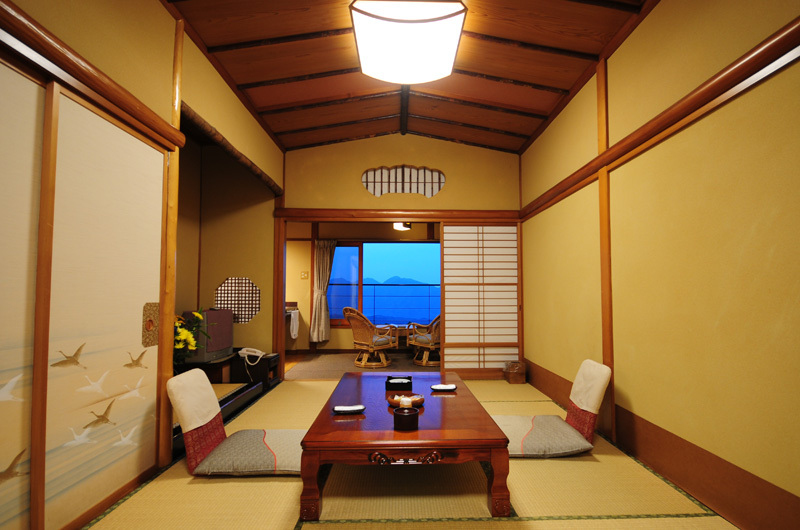 Each room has its own charm and design. 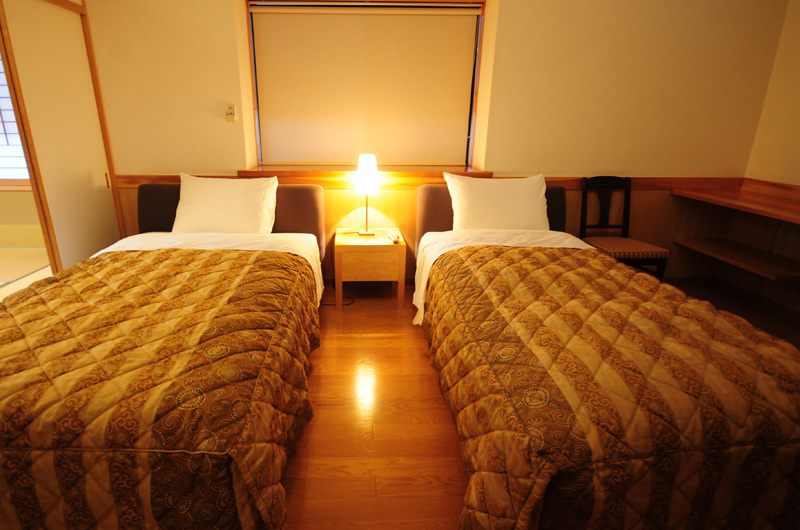 These rooms are comfortable and relaxing. 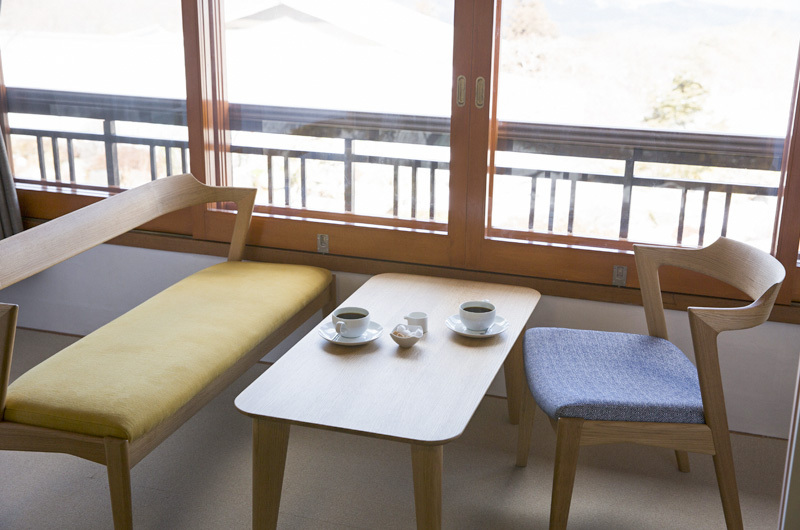 There are 8 tatami-mat (142 square feet) rooms suitable for family and couple, as well as 12 tatami-mat (214 square feet) rooms where you can relax comfortably. 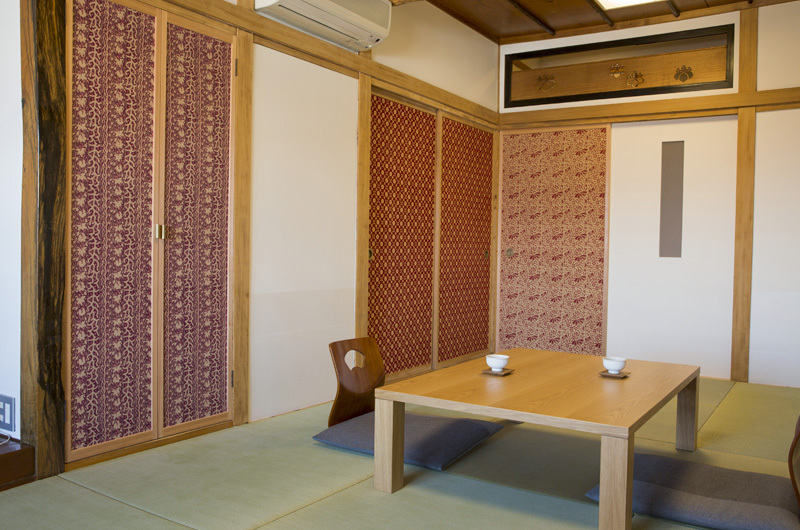 The two 8 tatami-mat rooms in the main building are the smallest but still spacious. 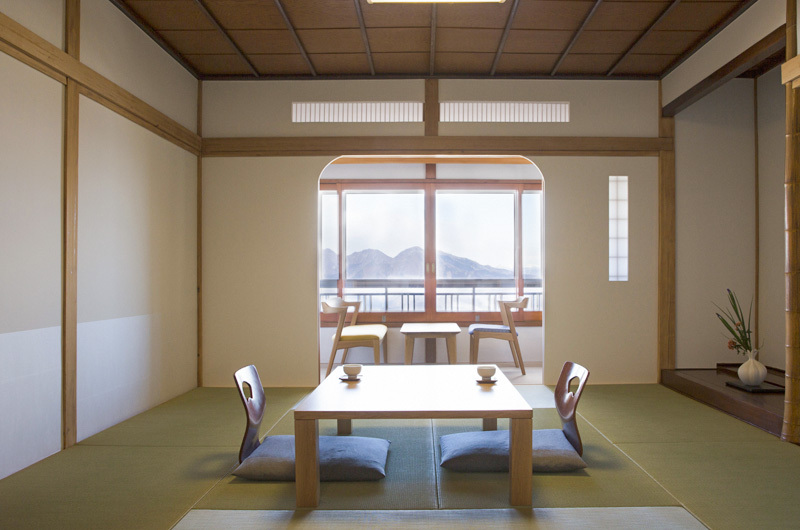 There are also rooms that go out to the courtyard or face the mountains directly from the windows. 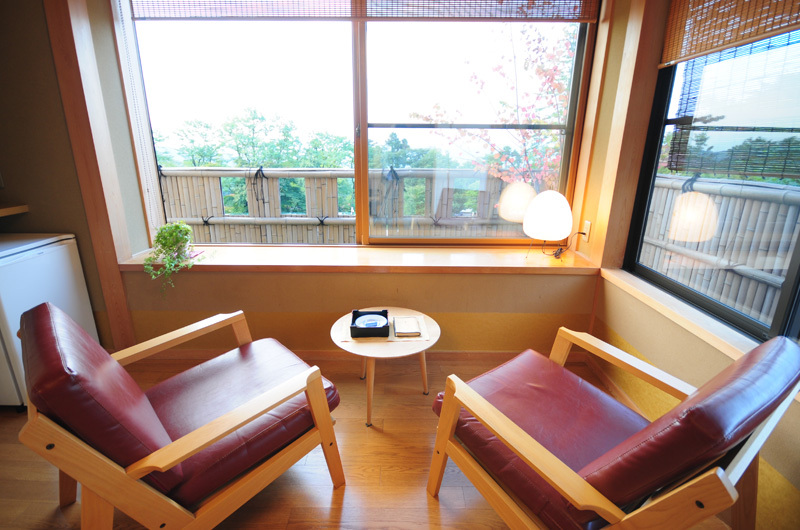 This is a Japanese style renewal room. 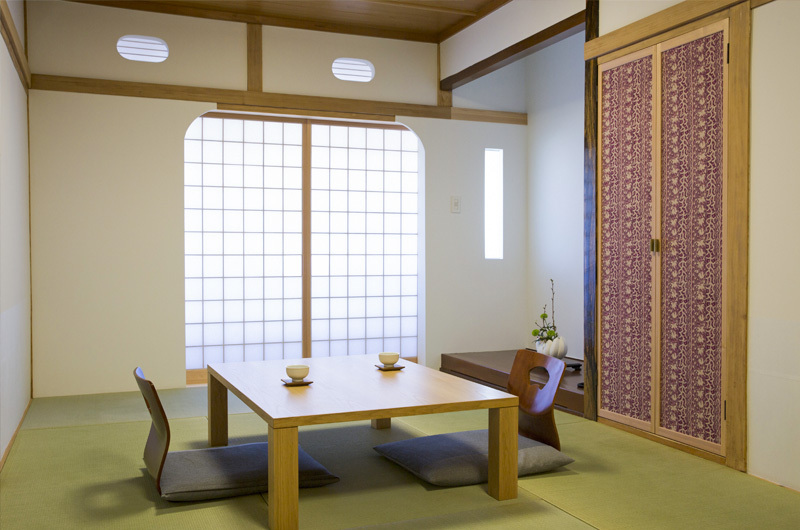 With modern Japanese interior deocration based on white color, it has transformed into a Chigira Jinsentei-like room retaining the making of the Taisho period. It has now become a two-room suite. 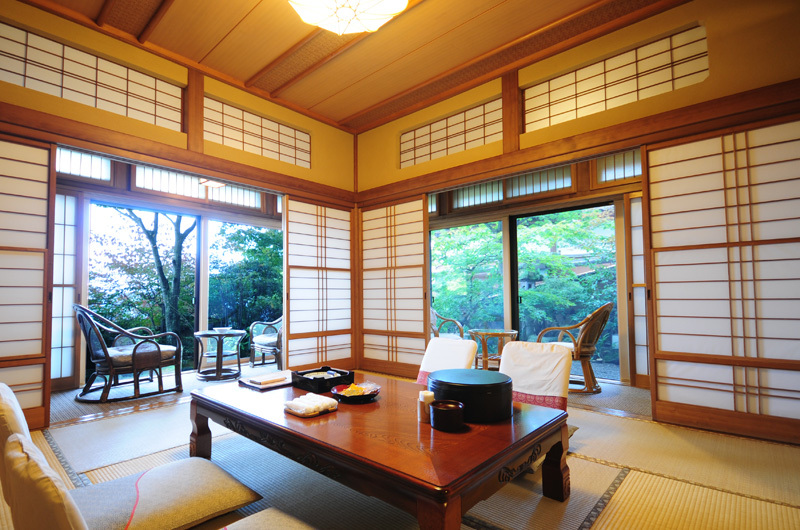 The four Japanese-style rooms and Western-style rooms are all equipped with open-air onsen. 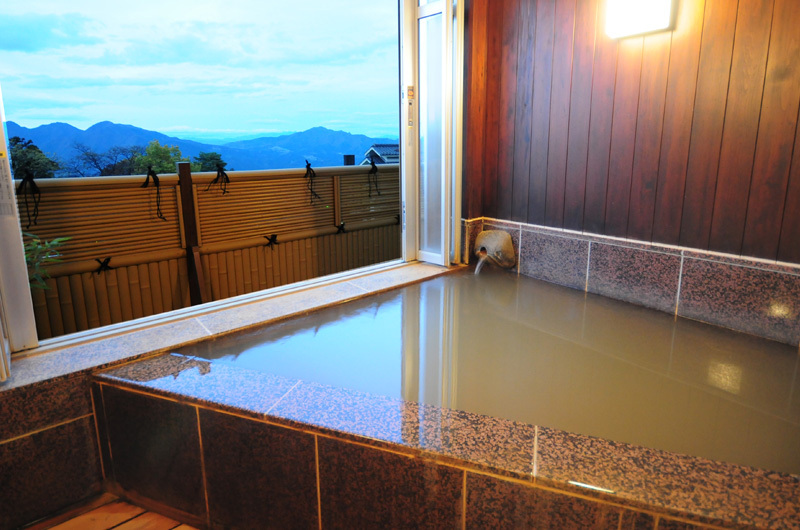 They are filled with 100% free flowing "Kogane hot spring water". 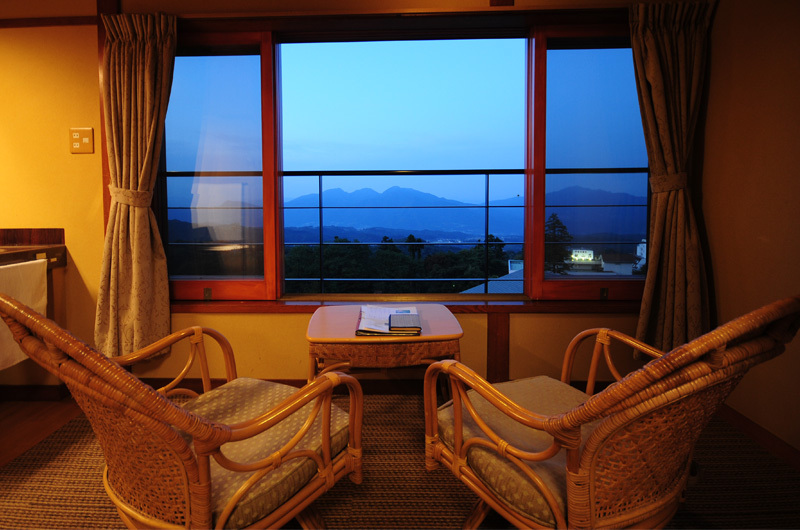 Overlooking the mountains, the open view is exceptional. 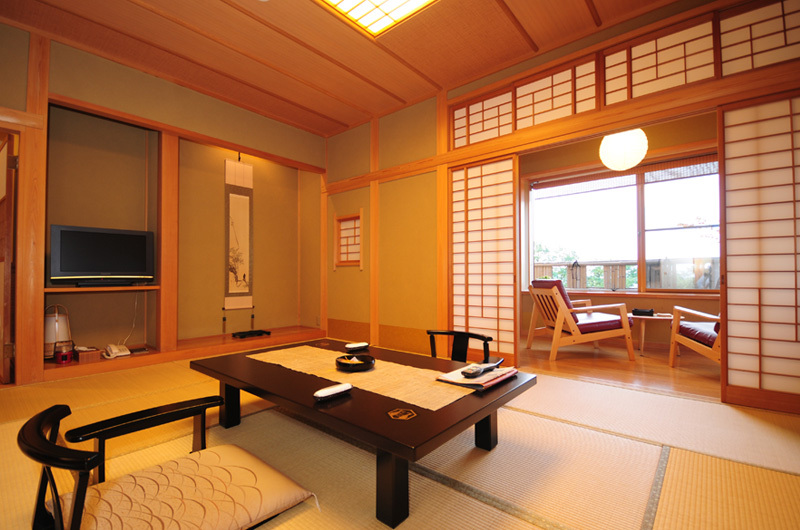 In the evening, you can close the door to shut out the outdoor environment and take a relaxing bath indoors.